In this announcement, I reveal a new strategic partnership that strengthens the high quality, actionable safety info you have come to expect from this podcast! I am excited to make this announcement. Also, I announce my new role with iReportSource! Exciting things are happening so stay tuned. Send emails to info@thesafetypropodcast.com and share with me your thoughts about the podcast or topic requests. Please leave a ranking and review on Apple Podcast; it helps others find the podcast and assists me in making improvements. If you are not on Apple Podcast, you can find me on LinkedIn! Post a LinkedIn update letting me know what you think of the podcast. Be sure to @ mention Blaine J. Hoffmann or The SafetyPro Podcast LinkedIn page. You can also find the podcast on Facebook, Instagram, and Twitter! 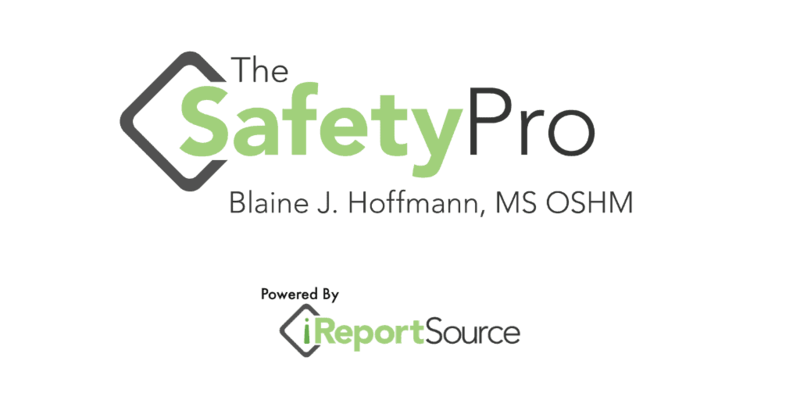 iReportSource is the only tool you need to achieve safety success. See a hazard? iReport it!